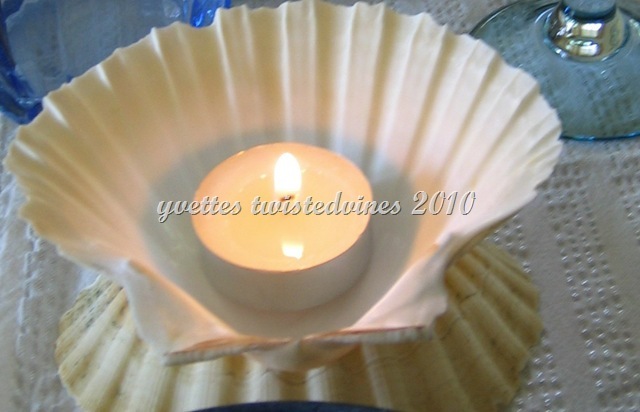 I had scallop shells saved away,and these are a great ocean theme accessory, place one facedown, and rest the other on top, place a small tea lamp candle inside. 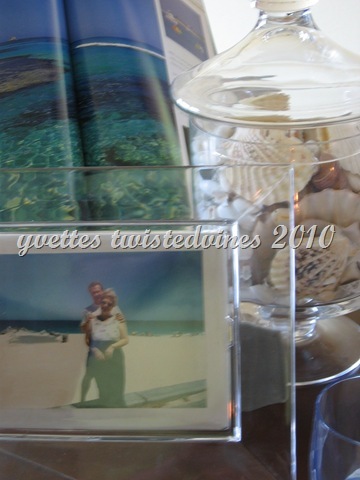 These are also great accessories for outside partying, lighting a pathway or around the table at ground level. 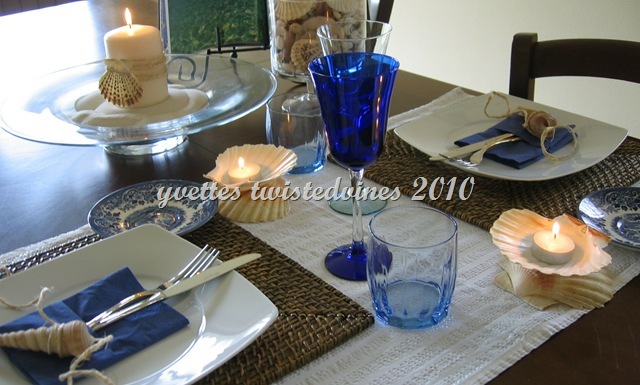 Using blue napkins…now here’s a personal choice..yes I love white linen “real napkins” but with the unlimited use of paper napkins with their colors and prints you can find today…your dinner party napkin ideas are infinite. 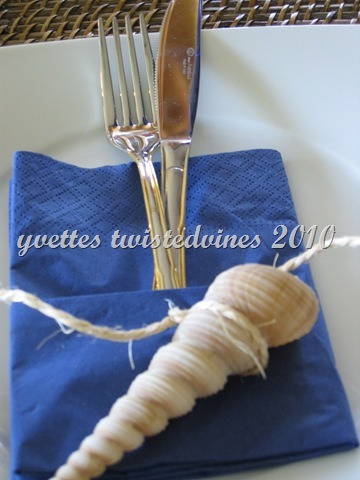 For decoration on the napkin I used everyday kitchen twine and twisted it around a shell as shown in the photo below. 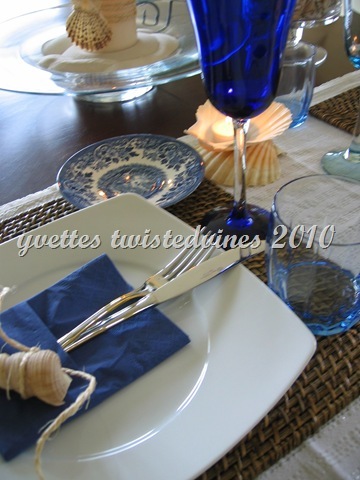 Easy entertaining, and low costing…a romantic calming theme for a Summer nights dinner or chic barbeque to share with that someone special or a group of friends. 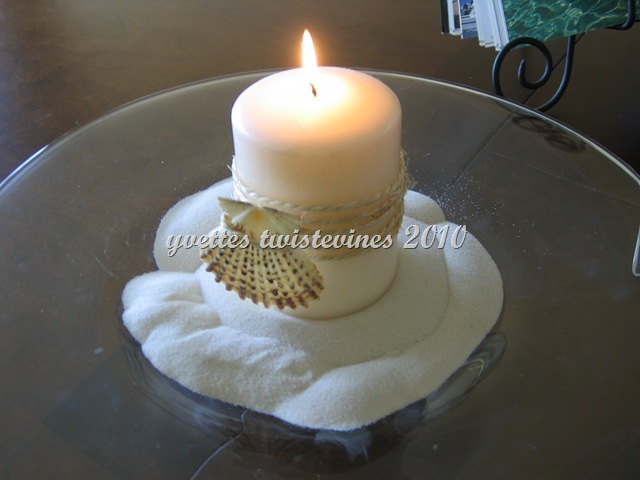 What other themes have you used for Summer entertaining? 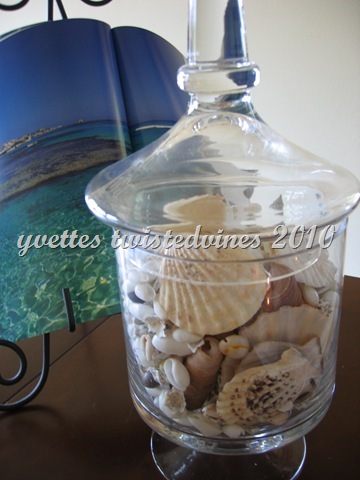 Lovely, makes me wish I was by the sea…This has inspired me to dig out my sea shell collection and see if I can’t do something creative with them! Thanks again for sharing some of your home with us!